LID CAN BE A COASTER - Lid works as a trivet to hold the infuser. Also keep the tea soup heat when you cover the mug. SIMPLE USE AND CLEAN - Dishwasher and microwave safe. 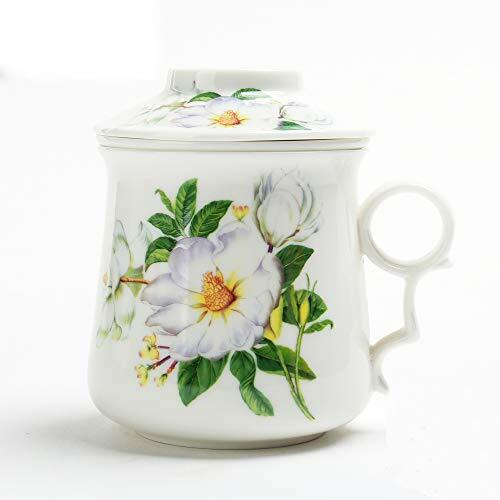 Tea Mug with infuser and lid:400ml/13.7oz, Please note: Not for stovetop use. Water should be boiled in another vessel first.